Fortnite players are being targeted with malware in the latest bath of scams. Fake Fortnite cheats have been doing the rounds for a while, but since the beginning of Season 6, players have been specifically targeted with malware and Bitcoin mining scams. 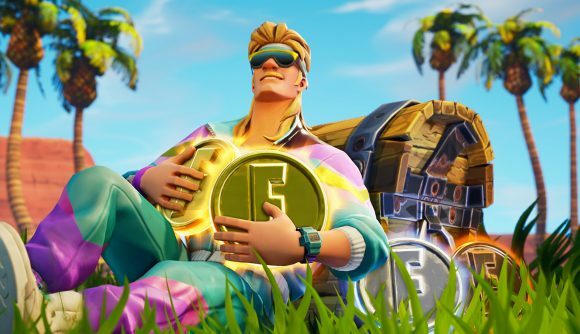 YouTube has been quick to pull videos advertising scams, but some – which claim to offer aimbots or free in-game currency for Epic’s battle royale – have amassed hundreds of thousands of views since the beginning of Season 6. Most of those videos don’t offer any particular threat, but some of them are more malicious than others. According to a post on the Malwarebytes blog, some videos are pointing players towards pages requiring you to subscribe to that YouTube channel. From there, a would-be cheat will be bounced around between a selection of sites and download links, before being pointed towards the ‘legitimately’ dangerous link. At time of writing, Malwarebytes claims that 1,207 people have downloaded that link. But instead of an aimbot, they all earned themselves a data stealer. Once that file’s been downloaded, the malware tries to send data to a Russian IP address. It takes particular interest in Bitcoin wallets, your Steam sessions, and browsing cookies. Attempts to disguise dodgy files as cheats for online games is nothing new, of course. Fortnite, however, has a particularly young audience, and an insatiable YouTube community happy to wolf down new content as quickly as it appears. Most of those videos are probably relatively harmless, but it’s safe to say that it’s probably not worth taking the risk just for a slightly easier Victory Royale. If you want a legitimate way to earn yourself that first place, check out our Fortnite tips guide. And if you want a hand with your Season 6 battle pass, check out our Fortnite week 2 road trip challenge guide, which should help you earn yourself those extra battle stars. Given that you need to deal damage with snipers for this week’s battle pass, you might be more tempted by those aimbots than normal, but trust us, it’s not worth it.